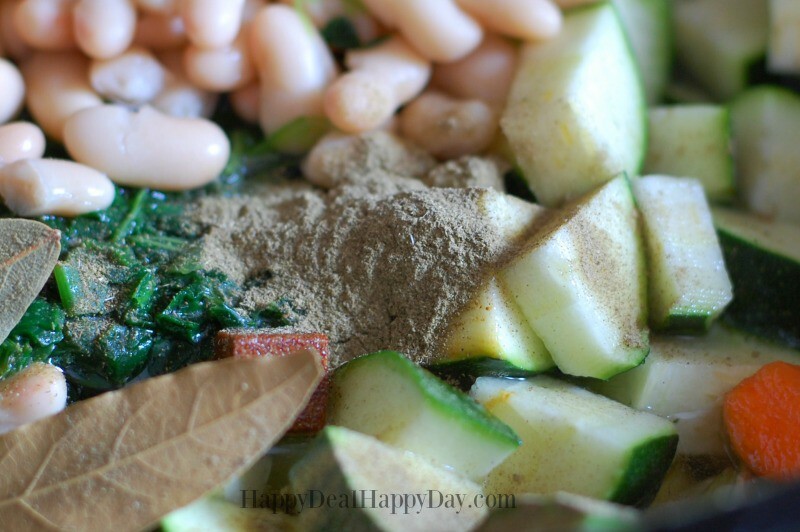 Easy Slow Cooker Minestrone Soup Recipe | Happy Deal - Happy Day! Here is one of my favorite soup recipes – easy slow cooker minstrone soup recipe! 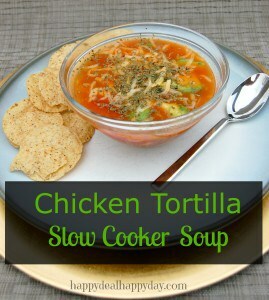 You literally just dump all of the ingredients in the slow cooker and walk away! Does it bug anyone else that when you go to the Olive Garden, they don’t pronounce the “e” at the end of Minestrone soup? I’ve always wanted to be like “You forgot the eeeee! 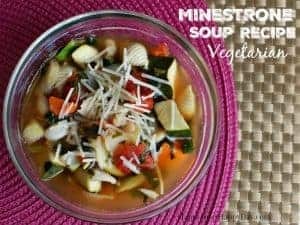 !” After doing a quick google search though, I found out that there isn’t a correct way to say it, and both “minestrohn” and “minestronee” are accepted. I also learned that Minestrone is the Italian that means a hodgepodge of things. Generally speaking when it comes to soup, Minestrone a conglomeration of vegetables and some sort of pasta, and sometimes meat. There are many kinds of Minestrone soup recipes out there, but I have been making this one and all of us in our family just love it. Here is a very easy slow cooker Minestrone Soup recipe that I know you will enjoy. 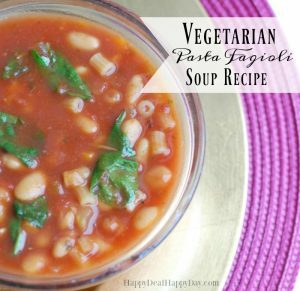 In a slow cooker, add broth, tomatoes, beans, chopped vegetables, spinach, spices, bay leaves and 1/2 tsp of salt and pepper. Cover and cook on low for 6 to 8 hours. Add 1 cup of shell pasta 30 minutes before serving. Remove bay leaves. Add more salt and pepper to taste. 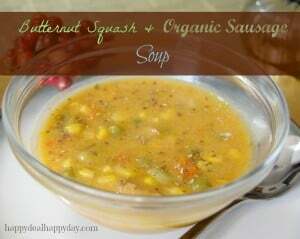 Serve with Parmesan or Romano cheese on top. 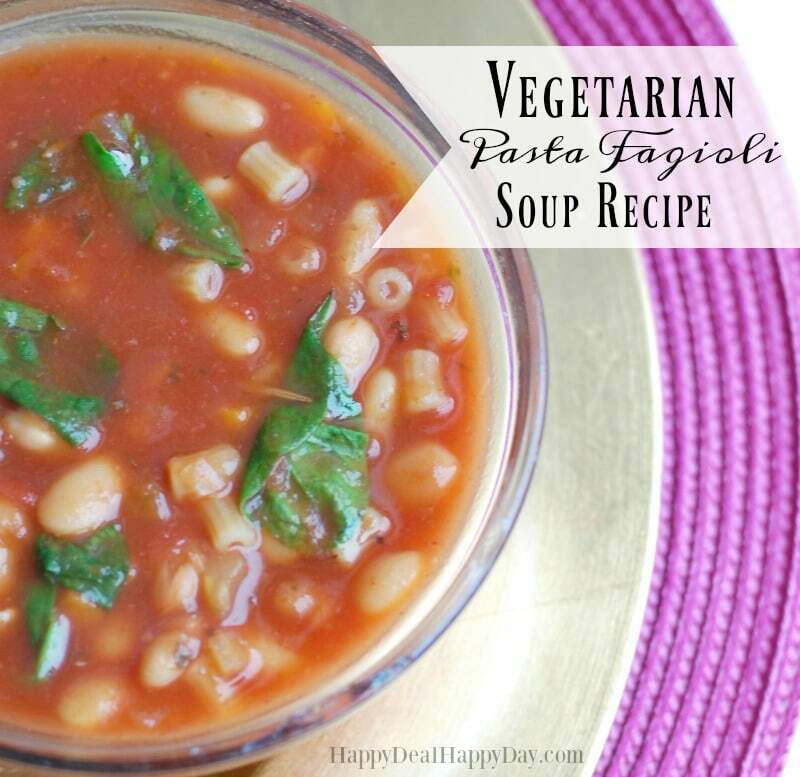 In a slow cooker, add broth, tomatoes, beans, chopped vegetables, spinach, spices, bay leaves and ½ tsp of salt and pepper. Cover and cook on low for 6 to 8 hours.